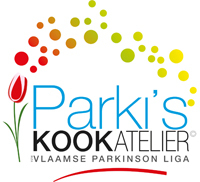 This recipe is from a cookbook developed by Parki’s Kookatelier, a Belgian project focusing on specialised nutrition for people with Parkinson’s disease. The authors are Yves Meersman and Randy Mellaerts. 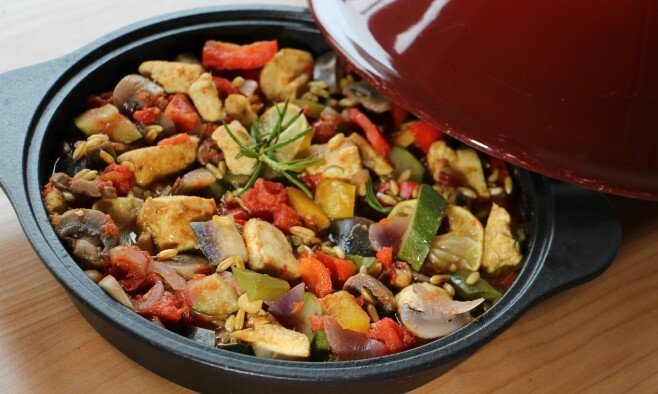 This slow-cooked, fragrant chicken tagine needs little attention and results in stunning Mediterranean flavours. Additionally, some of the ingredients boast antibacterial properties that may help prevent small intestinal bacterial overgrowth – a common condition among people with Parkinson’s. Cut the chicken breast into similar sized pieces and rub with the ras el hanout spices and a few drops extra virgin olive oil. Mix well and leave in the fridge to marinate for 1 hour. 1. Boil the brown rice in slightly salted water. 4. Soften with the vegetable stock before adding the tomato purée, and then the precooked chickpeas. 5. Season with the ras el hanout spices and add the lemon segments. 6. Cover the tagine and allow to simmer on a gentle heat for 20 minutes . 7. Uncover after 20 minutes, remove the lemon and season to taste with salt.